When you own a home or are considering purchasing one, it’s important to have the home tested for radon. High levels of radon gas are dangerous to everyone living in the home. Once you know more about the dangers of radon and how to have your home tested for radon, you’ll be able to take the steps to reduce its levels. Radon is a type of radioactive gas that occurs naturally when other substances like thorium, radium, and uranium break down within the soil. When this process occurs, the gas is released into the air and can enter your home. While small amounts of radon won’t harm you, long-term exposure to the gas at high levels can cause serious health problems. 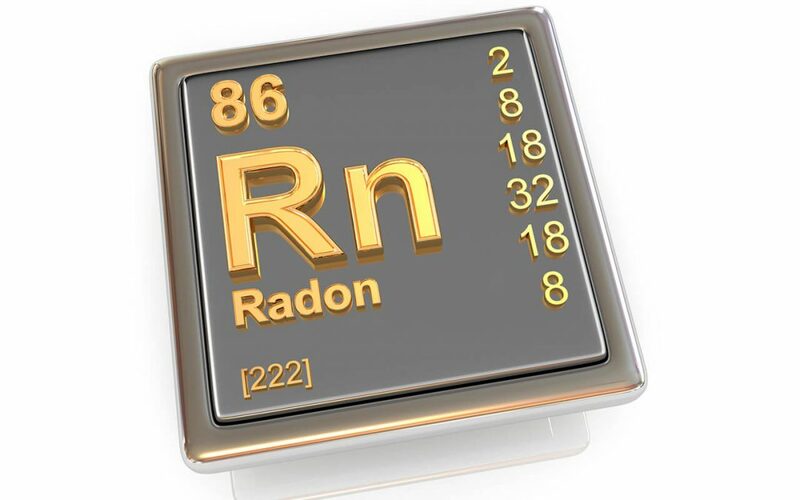 Exposure to the gas occurs when you breathe it in or drink water containing radon. One of the biggest issues with radon is that you can’t smell it, see it, or taste it, which makes it impossible to detect unless you have your home tested for radon. Since radon gas forms naturally when substances break down in the soil, radon may be in the ground underneath your home. From there, the gas can rise through the ground and enter your home through exterior openings, fireplaces, gaps within your flooring, and foundation cracks. If you have a well on your property, radon gas can seep into well water. It’s believed that nearly one in every 15 homes in the United States has high amounts of radon, which is why it’s important to have your home tested for radon on a regular basis. Any reading of four picocuries per liter (4 pCi/L) and above is considered a harmful level of radon by the EPA. By catching it early, you’ll avoid some of radon’s more harmful effects. Radon is found most places when you’re outside, which means that you’ll be exposed to it at one time or another. Radon only becomes an issue once it gets inside your home. When it does, the gas is trapped within a smaller area and the radon levels become concentrated. Long-term exposure to radon can result in lung cancer. The onset of lung cancer includes symptoms like chest pain, a shortness of breath, coughing up blood, wheezing, and weight loss. Protect your family’s health by having your home tested for radon by a professional. A certified radon testing professional has superior equipment that will deliver accurate results in a timely manner. They will also advise mitigation if the test shows the radon levels to be unsafe. It is possible to reduce the amount of radon in your home. Radon mitigation specialists have the tools and expertise to treat the root of the problem. Any cracks in your home should be properly sealed off and the radon will be vented to the outdoors to make sure that it doesn’t build up in your home. H&I Home Inspections provides radon testing and other home inspection services to the Denver Metro area. Contact us to schedule your appointment.